When I wrote recently about the power of cloud computing to enable wholly new types of applications, this is one aspect of what I was talking about. 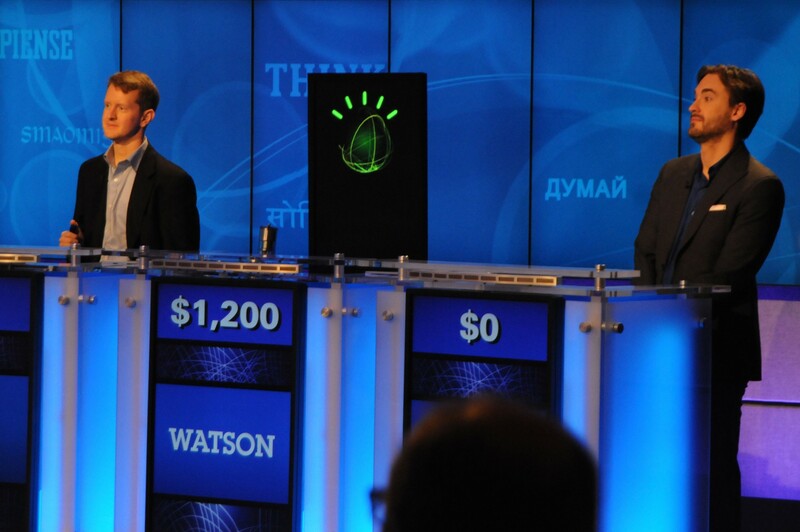 Watson took years of man-hours and millions of dollars to build. Its creators were some of the smartest computer scientists around and, as IBM Senior Vice President Steve Mills pointed out to me recently, it’s comprised of approximately 40 different technologies. Now, anyone who can write some code can theoretically write an application that taps into Watson’s abilities without knowing anything about any of those technologies himself. IBM stands to make money from the Watson Developers Cloud but the primary goal is to create a large community of developers in the world of cognitive computing — “what we believe is the dominant form of computing in the future,” High said. “We’ve come to the conclusion that this is too big and important to hold to our [ourselves],” he noted. Indeed, IBM has been trying to grow the community and capabilities of cognitive computing, even beyond what Watson can do around understanding language. The company recently launched a university partnership that focuses on numerous aspects of cognitive computing, including the field of deep learning that is driving significant advances in computer vision and other facets of text analysis and natural language processing. And IBM has for years been mapping brains and working on microchips that mimic the brain’s architecture. The real beauty of these types of systems is not just in the intelligence of the computers, but also in how they affect the thought processes of people using them, High said. He noted an early Watson user who learned pretty quickly after using Watson that he had been asking the wrong questions of his data all along. Watson has already proven itself in a few professional fields, most notably health care and retail, but its seems logical that a large community of users not constrained by a dearth of talent or budget will be able to think of many novel applications. In order to encourage programmers to take advantage of the platform, IBM is working with venture capital firms — including New Enterprise Associates — to support and fund startups using the Watson API. Right now, though, access is via “controlled invitation,” which means interested developers must apply for access here. Aside from the computing resources to analyze users’ data and then compute answers when API calls come in, the Watson Developers Cloud also includes an SDK, an app store, a data marketplace (the more data Watson has, the more it can learn) and IBM experts to assist in everything from design to beta testing (for the time being, these services are where the company expects to make money, High acknowledged). 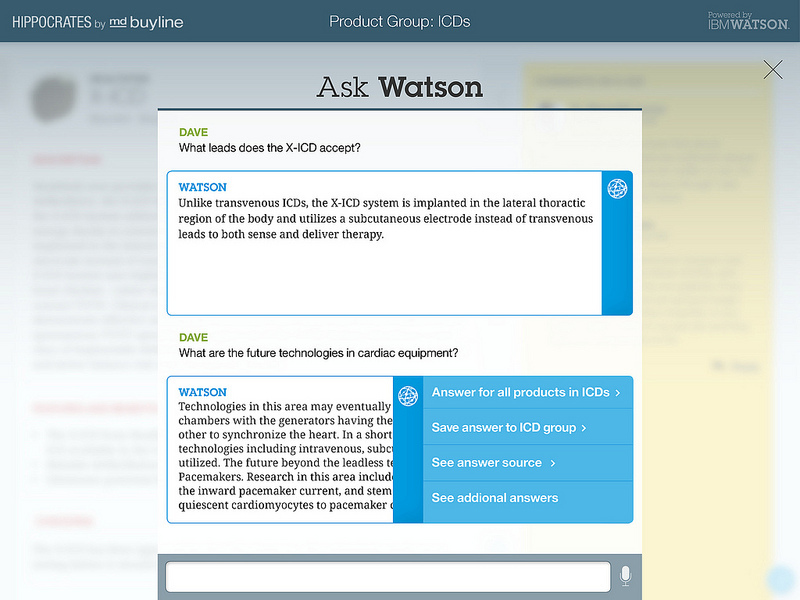 Watson will return results of queries along with a confidence score and links to data that weighed heavily on its answer. All the help is necessary because even though the APIs are designed to be simple, the idea of using something like Watson to power an intelligent app can be daunting — like coming to terms with the fact that a cognitive computing application isn’t programmed as much as it learns and adapts from the data its creator provides. The Age of the Platform is here. It’s not just about the smart cookies who work for you. There’s no shortage of ways to embrace platform thinking, even if you’re a mature company. The possibilities are limitless. Another thing I’m gonna add: Technology is becoming more advanced than We humans are. Technology is becoming the superior race while we humans progress towards being the Laziest DUMBEST POS life-form on the planet. Everyday we grow more lazier that we don’t even wanna THINK anymore! Now we’re so inclined to letting artificial “intelligence” do all the thinking for us! Mankind has now completely lost its sense of awareness. While Technology achieves the next higher level, Mankind achieves what is now possible: our heads further up our assets! A-ha, yeah, I need Watson like I need a muffler in my rear gassket. Why are people so crazy about Watson? The fq are we gonna do with Watson?! Is Wat-da-fq-son so important that we all just Haaaaaaave to have that smart-azzed wise guy in our lives? It’s just a computer like any other machine… hack it, gut it, tweak it, format it, install WinXP in it, slap on some joysticks and headphones on it and ya got yerself a nice fancy Gaming machine. Very excited. Imagine the potential for personal healthcare by feeding quantified personal health data from something like Fitbit, to a personal health-coach app integrated with the Watson API to send you notifications regarding any health metrics (blood pressure, heartbeat, stress levels, temperature, weight, calories burnt). What a misleading description. There’s no information about when it’ll be released, the model with which it’ll be launched (prob not free), nor any more information except for apps which already use it. 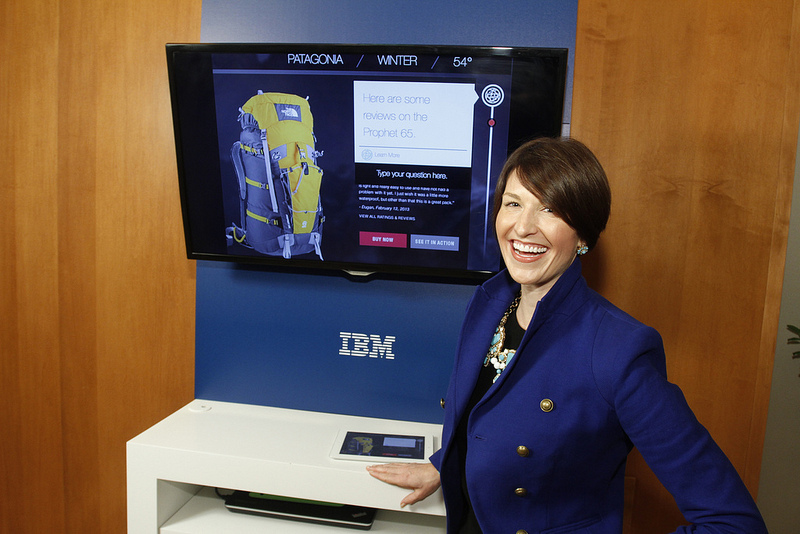 This URL is one click further: http://www-03.ibm.com/innovation/us/watson/getting_started.shtml. The impression I got was that the IBM plans to make most of its money from the services part more than the API calls. yes Watson sees faces and asks itself questions .. who is that, what are they doing, who are they with. Are they dressed same as yesterday, are their words and phrases different today, etc. I can hardly wait until someone marries Watson to an XBox Kinect system..The surveillance and reporting possibilities stagger the mind.